Hello, hello dear friends! I’m finally back on here and wanted to share a product I have been using a lot lately and has been part of my evening routines for these couples of weeks now. Introducing… the PHYKOLOGY Bright Tomorrow Guardian Cream, this cream is specifically formulated to strengthen and hydrate skin moisture barrier. Winter in Canada has been a brutal time for me and I can honestly rely on a cream with ceramides in it. This cream naturally enhances the skin’s strength and defends the skin to stay moisturized, soft and remain plump throughout the day. As you can see, this cream is on the thicker side for creams and I absolutely love that for winter. I can’t get away with a simple gel based cream because winter here, is extremely dry. Temperatures drop low as -45 degrees Celsius here. The moment I get home, my skin feels numb and all the moisture has been zapped out. I find this cream is able to quickly restore my skin’s texture and feel when I use it. Undaria Pinnatifida Extract – This is the very first ingredient of the list and I always appreciate brands that don’t use water as a filler ingredient. This ingredient is a brown algae potent with antioxidants, provides the cream and formulation a thick+dense texture and provides skin hydration. Centella Asiatica Extract – is a plant-based ingredient that has multiple healing properties. The extract is rich with amino acids, fatty acids and etc that can help treat and prevent acne, calming down skin inflammation and promote collagen growth. Beta-Glucan – is a polysaccharide sugar derived from yeasts/oats. It has skin soothing and some antioxidant properties that are fantastic to improve the skin’s appearance by reducing redness and any signs of inflammation. Ceramide NP – Ceramide are lipids that assist and protect skin barrier by retaining skin moisture and they protect the skin from any environmental irritants. They can also improve the look and feel of dry skin instantaneously. * PHYKOLOGY is also vegan. You can see how dry my hand is and the texture of this cream is dense enough to restore and repair my skin’s lost moisture. I only need about a pea size amount of this cream on my face and it usually does the trick. I always go in with my skincare steps prior to apply the cream and I seal everything in with a facial oil of my choice. The facial oil I have been using a lot lately is the Teami Blends Soothe Facial Oil. It’s formulated with Blue Tansy (anti-inflammatory) , Lavender (purifies) and White Sage Leaf (wrinkle prevention and reduction). If you’re interested in purchasing it, please feel free to use my discount code: DORK15 and get 15% off your purchase! TIP: dispense a pea size amount of the cream and with clean hands, massage the product to breakdown the thick consistency into a creamy, smooth texture. This allows easier application rather than applying the cream directly onto the face and massaging it. The warmth from your hands will make a huge difference in the product’s texture. Texture: 5/5 – Dense, creamy and spreads wonderfully on the face. It does not dry down sticky or tacky on the face. Comfortable to have on and perfect for cold weather conditions because it’s able to recover your skin within a short period of time. Scent: 5/5 – No detectable scent, perfect for those who are sensitive to scents. Price: 3/5 – It is a bit on the pricier side but varying in your budget, I would reccomend this to those who would like to try out new products and need an excellent winter cream. Also, do keep in mind this is a vegan product. Performance: 5/5 – Fantastic, I have no complaints here. It works exactly how it claims. 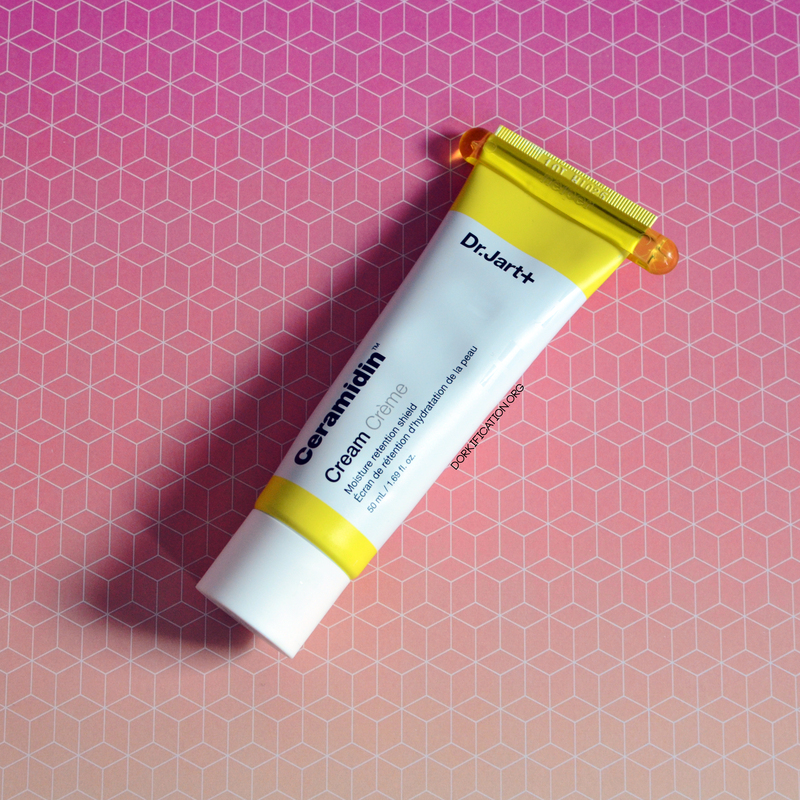 My moisture barrier has been slightly damaged from the terrible weather conditions here in Canada and I know I can rely on this cream to save my skin overnight. I would apply this right after my hydrating serums and ampoules for the best results! Packaging: 4/5 – The standard aluminum tube that looks similar to medical topical creams/gels packaging. Aluminum tubes are easy to dispense product out, look and feel nice! This is small enough to travel with and you don’t need that much to cover your entire face. Overall: 4/5 – I did enjoy this cream and had no negative reactions/skin irritation from using it. I will continue to use this cream. This product was kindly gifted to me in exchange for an honest review. All thoughts are my own. I am pleased with this product and I look forward to share with you further ways how I like to use it in my routine. Be sure to stay tuned for my instagram story posts and feed posts. I always post daily :)! Hello friends! Happy New Year ~ It’s been a while since I have been on here! It’s that time again, time to anti haul some products I have been seeing on sale sections. I’ve learned one thing this year and that is not to buy things JUST because they’re on sale. I end up wasting money and I could have spent that money on something else.. Something I actually really want. I have a lot of enabler friends and they would give me excuses to buy stuff I don’t necessarily need. I never turn to their opinion anymore, I ask myself is this practical? Will I get use out of this? How many uses will I get out from this? Tarte Life Of a Party Blush Palette: This palette looks kinda cute but tacky for the most part because who would travel with this? It’s too much to look at. As much as I love tarte blushers, I don’t see myself picking this up at all and the pans are narrow set so you have to have percise blush swiping to not hit the other pans. Touch in Sold Metallist High Shine Cream Palette: No way in heck this palette is a cream formula. I’ve swatched this at multiple stores and it was this weird dry, play doh-like formula with no pigmentation. The glitters in it are chunky and just sad. I’m very disappointed with this product and was hoping for more pigmentation. Goes to show you that appearance of things can be quite deceiving. I know, it looks like I’m a rampage about blush palettes and I really am. 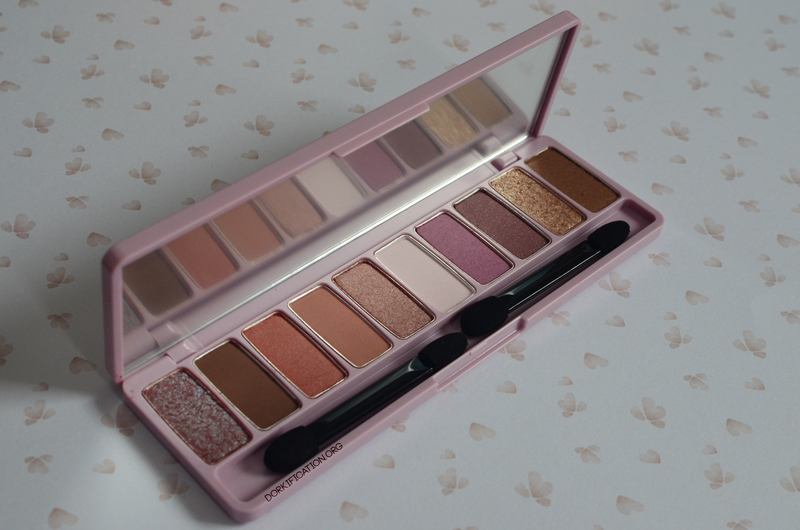 Initially, this was a palette I wanted prior to the launch because of trendmood. I love anything that has geometric, stained glass like designers however I own 2 narssist blush palettes and I do not use them. If I buy this one, this will be the 3rd one I am not reaching for. These don’t go cheap either so… thank you, next. Remember that crazy phase where the internet blew up with these things? I always laughed at them and thought they were ridiculous. There’s a whole bunch of brands that launched these such as sephora, milk, makeup revolution and etc. I remember seeing videos where people said there were more hygienic and easy to blend out makeup. I thought it was all a marketing scam and guess what? they still are in my eyes. Hello friends, today I wanted to bring up a really important topic in skincare that I don’t hear about enough. I’m sure most of us have been through it. My skin has been acting up this past holiday break due to poor diet, environmental changes and Canadian winter season dryness. We came from having freezing cold weather to having warm spring-like temperatures. My skin has taken a huge toll from these changes. I’ve often had issues where my skin was so dehydrated and dry where it could flaked up and start bleeding. This time around, it was just itchy and congested. When my skin is in this state, I don’t apply on just any skincare product on my face because my skin will often reject it. 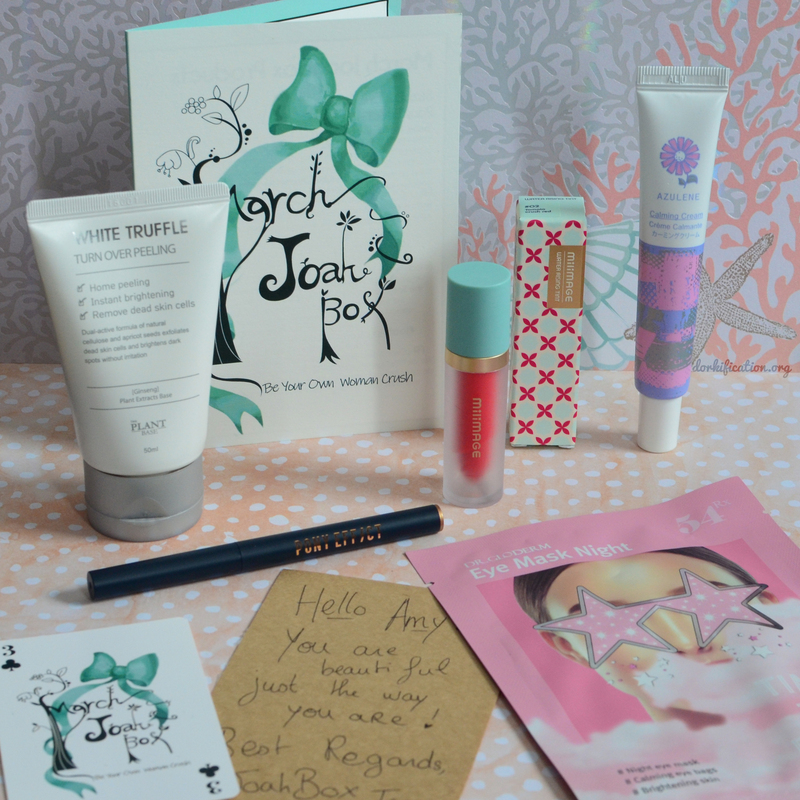 I have to carefully select which products are appropriate for my skin and are able to soothe the inflammation down. 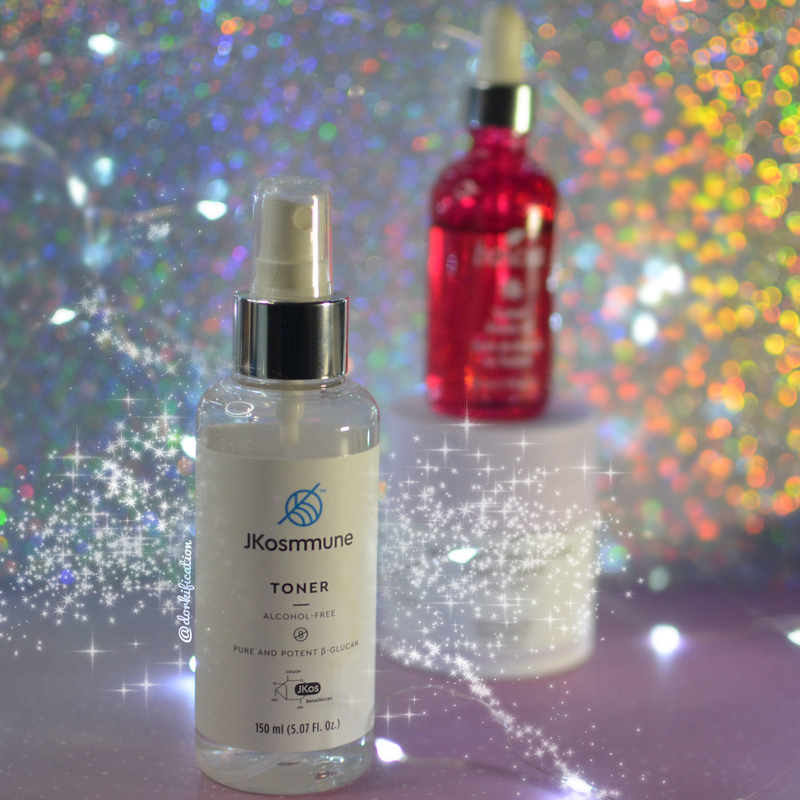 A month ago, I went on here to review the JKosmmune Beta Glucan Toner mist and it is still my favourite toner mist. If you’re interested in hearing my thoughts on this product, feel free to search up “JKosmmune” on the search bar to find my blog post on this product. As some of you may know, I’m a huge fan of hot showers. Now now… I know how terrible and drying it is for the skin but I cannot help myself sometimes! It feels nice and I prefer showering in hot water over showering in cold water anyway. I always leave this mist in the washroom because it’s very accessible for me. After every shower, I would quickly mist this toner all over my face evenly to restore, rehydrate and reduce the redness in my skin from the hot shower I took. It works wonders and my skin drinks it up so quickly. This toner mist is simple because it only consists of 10 simple ingredients and has a shelf life of 9 months. Most products have preservatives which increases their shelf life however Jkosmmune made this toner with mild ingredients and compatible for all skin types (yes, that includes extremely sensitive skin). It’s special and star ingredient is beta-glucan. Beta-Glucan is a fantastic ingredient to maintain skin’s texture, plumpness and is able to promote collagen growth. It aids the skin as a healing agent from rashes, wounds and also sun exposure. If you’re interested in this product, please check out Jkosmmune Official Website to purchase a toner for yourself. I highly recommend this toner for anyone who suffers with skin inflammation and most importantly, redness. The reason why I wanted to revisit this product is because I wanted to share my positive experience with it and I will continue to repurchase this product because it works and I strongly believe in this product. I hope my experience has helped you decide whether you would like to try this mist because it’s truly a fantastic product. My favourite moisturizer to pair with this toner mist is the drunk elephant lala retro moisturizer. It is quite expensive so I’ve been patiently looking for an alternative because drunk elephant pricing is quite steep for my budget. Hello dear friends, Merry Christmas to you all! I know it has been an insane week for us all and I’m sure you still have some holiday stress since we have the new year not far from here. I came on here to share this toner I received through Wishtrend in exchange for an honest review. I have tried the original Klairs Supple Preparation Toner a while back but it was not compatible with my skin and I was fortunate enough to get the opportunity to try this wonderful toner out. Natto gum is fermented product of soy protein and is potent with antioxidants. Centella Asiactica is a plant-based ingredient that has multiple healing properties. The extract is rich with amino acids, fatty acids and etc that can help treat and prevent acne, calming down skin inflammation and promote collagen growth. Licorice Root is effective in improving the appearance of skin by evening it out, it’s also potent in antioxidants and has skin soothing properties. Aloe Barbadensis Leaf Extract is an antiseptic and a moisturizer. Aloe is known to soothem act against inflammation and is clinically proven to heal burns, wounds and scars. TIP: If you have an inflamed and dehydrated face, soak this toner in cotton squares/pads and apply onto face. Leave it on for 15 minutes before applying skincare routine. Before removing cottons, be sure to massage the remaining excess toner on face. I often rotate through many toners and this toner is on my top three I would like to travel with because it’s perfect for my skin. It’s lightweight, easy to absorb onto my skin, does not alter my skincare products and easy to control – where you don’t waste any product because of it’s packaging. I was shocked by the consistency differences from the original and the unscented. Firstly, the original toner was formulated with essential oils and was very dense/thick in formula. When applied onto my skin, it feel like it would take forever for my skin to absorb the toner into my skin. It was quite unfortunate but I’m glad Klairs cared about their customers and heard them out to formulate this toner. I always appreciate it when companies hear their supporters out. I’m guilty for skipping my 8 step skincare regimen some nights so I would just double cleanse, apply this toner on my face or soak it in cottons as use it as a mask then go in with my moisturizer/sleeping pack of choice. Sometimes less is more and when my skin has outbreaks, I can’t really do my regular regimen without it getting all itchy. This product has 4 of my favourite ingredients that provide calming and soothing benefits for my skin. Texture: 5/5 – In the bottle, it looks like it would be on the slightly thick side of toners but it really isn’t. It’s very lightweight and spreadable. It’s very easy to layer with other products on-top. It’s also fantastic for makeup prep and does not alter or effect the appearance of the makeup applied on-top + provides an extra boost of hydration onto the skin. Scent: 5/5 – Because this product is unscented, do keep in mind it will smell like the natural ingredients in it. The scent is very light and doesn’t bother me. Price: 5/5 – I think the price is quite reasonable and affordable for those who are on a budget. It’s a very nice toner and be an excellent addition to collections. Performance: 5/5 – I’ve used this toner 3-4 times every week and I find it’s perfect for me skin in all conditions. My skin often gets easily dehydrated and very cracky during the winter seasons. As many of you may know, Canadian winters can be very harsh and my skincare options are VERY limited. I get seasonal eczema so my skin not only is dry but is extremely itchy; I can’t use a lot of products on my face during this state. I had a “skin outbreak” not too long ago and I used this toner on my face during the healing process along with my trusty cerave moisturizing toner. It truly worked wonders and my skin healed within 4-5 days. Packaging: 5/5 – Packaging is practical, simple but easy to read. Even if you don’t bother reading the paragraph on the front label, it does state at the bottom in bold “essential oil-free, balances pH level, deep moisturizing and cleanses and soothes”. Easy to use and stopper on the bottle is easy to control – you don’t ever need to worry about pouring out more than you need. Overall: 5/5 – I’m pleased with this toner and would recommend this to all everyone of all skin types, especially to those who are acne prone and have seasonal eczema because this is effective for soothing the skin. It’s budget friendly, effective, a little goes a long way and easy to control/use. I was very disappointed and wanted the original toner with Essential oils to work out for my skin because I genuinely did love the scent to it. This toner did not give me any issues and my skin drank it up without having any issues. If you don’t have sensitive skin and essential oils are not irritating to your skin, please try feel free to try out the Klairs Original Supple Preparation Toner. That’s it for today, friends. Wishing you a fantastic holidays and cheers to clearer skin days! Hello friends, happy friday to you all. I know this is a long anticipated review because I’m sure you’ve seen me do an unboxing, talk about this product and shared photos of it in my instagram feed. These were kindly gifted to me by b.liv in exchange an honest review. All opinions are my own. I wanted to point out that b.liv’s official website is very easy to navigate around and unlike some skincare websites, b.liv actually provides you options to choose from by skin type, skin concern, lifestyle/skincare tips and etc. If you don’t know your skin type is, b.liv offers descriptions and wonderful diagrams explaining and showing you the types of skin types and skin concerns. Claims: This mask is formulated with chamomile, papaya extract, mango extract, witch hazel, aloe vera, gluconolactone, burdock root extract. Chamomile contains one of the most powerful skin properties such as anti-inflammatory, anti bacterial, antiseptic and antioxidants. Papaya Extract has a natural non abrasive exfoliant that is effective to remove skin impurities, push away dead skin cells and brighten the skin’s complexion. Mango Extract is a natural astringent that reduces the appearance of blemishes, controls excess oil production and can deeply penetrate into the skin to clear impurites from pores. Witch Hazel treats acne, minimizes the appearance of pores and controls excess oil production. Aloe Vera is a powerful emollient for the skin that can deeply moisture, soothe and protect the skin. Gluconolactone is a PHA(polyhydroxy acid) that offers all the benefits of AHAs but is suitable for sensitive skin types. Ingredients: aqua (water), butylene glycol, glycerin, gluconolactone, propylene glycol, sodium citrate, hamamelis virginiana (witch hazel) water, xanthan gum, phenoxyethanol, saccharide isomerate, polysorbate 80, aloe barbadensis (aloe) extract, ppg-26-buteth-26, sodium hyaluronate, chamomilla recutita (matricaria) flower extract, peg-40 hydrogenated castor oil, alcohol, carica papaya (papaya) fruit extract, disodium edta, mangifera indica (mango) fruit extract, o-cymen-5-ol, zinc pca, menthyl lactate, ethylhexylglycerin, yeast extract, arctium majus (burdock) root extract, leuconostoc/radish root ferment filtrate, sulfur, pyridoxine hcl, thiamine hcl, fragrance. I prefer this mask over my all-time favouite Dr. Jart+ Soothing sheet mask because the only drawback I had with the Dr Jart+ mask was that it gave me irritated eyes. The corners of my eyes tend to go red/get irritated when I use products that irritate my skin. Is that strange or what? Same thing happens to me when I use heavily alcohol based products on my skin. This mask does not give me that issue and I can feel it calming down my skin and also giving the most pleasant cooling feeling. The cooling sensation reminds me of menthol. If any of you tried the Japanese Rohto eye drops that are formulated with menthol, it’s gives a VERY similar effect to the skin and it feels amazing. I’ve personally never refrigerated my skincare products before but this mask gives that lightly refrigerated cooling sensation and I high recommend this to anyone who struggles with inflamed, acne prone and also that have congested skin concerns. I’m surprised that the alcohol in this did not irritate my eyes or skin, usually my eyes react when there are alcohol in products. If you look in the ingredients very closely, alcohol isn’t on the top of the ingredients but middle. I believe they used it for formulation reasons so I’m not bothered by that. Also, notice that there is fragrance at the very bottom, because fragrance is the last ingredient listed this means that there is VERY little fragrance in this so I doubt this would make an impact on sensitive skin types. It’s a 5/5 for me and I would 100% repurchase this. Panthenol is a proviotamin of B5 and it’s used a lubricant, emollient and moisturizer to bind to hair and penetrate into skin providing both lubrication and hydration. 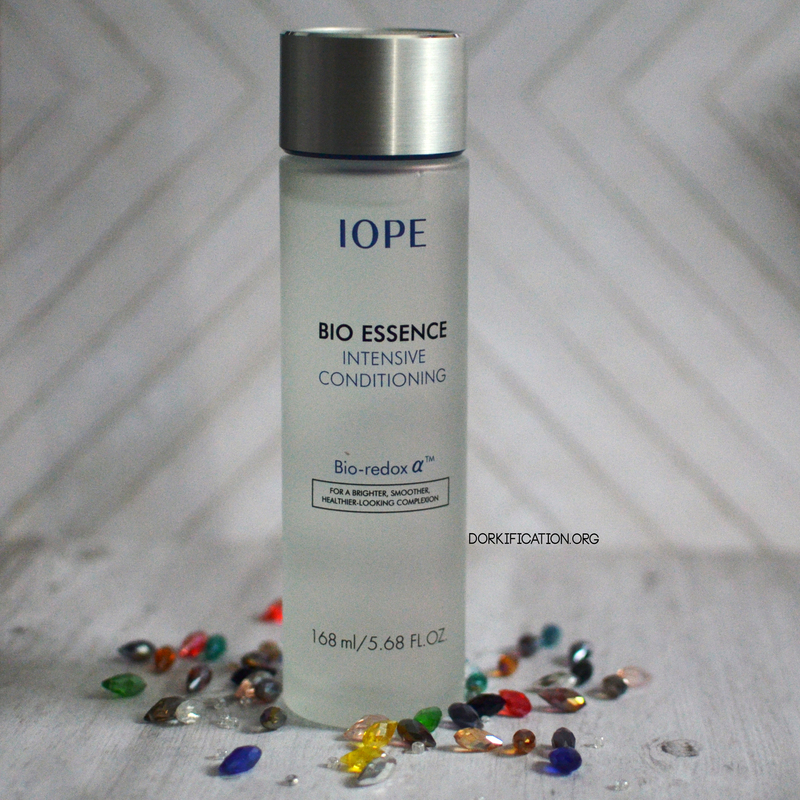 There is no secret that this gem is formulated with Hyaluronic Acid. There’s a lot of buzz in the beauty market about this one specific ingredient. HA is a powerful humectant that is able to keep the skin appear plumped, hydrated and youthful. Don’t let the word “acid” scare you, HA is not abrasive, harsh or strips the skin’s moisture. In fact it does the opposite and binds the skin and acts as glue to seal all moisture in. Please keep in mind that HA will not solve all of your skin moisture issues, you need to use other skincare products to support this ingredient into your skincare cocktail/regimen. My thoughts: I have been enjoying mixing in products for skincare cocktails but for this specific serum, I prefer to apply it right after toner as instructed then I go in with my other serums and then finish with a moisturizer. If I’m feeling extra, I will finish everything off with a facial oil to seal it all in. I wake up to the most soft and supple skin ever. This really does a fantastic job quenching and fixing my dehydrated skin. I would use this all season round. I’m not quite sure if I would personally repurchase this because there are a lot of serums like this in the market but it is nice to own. I’m always excited to try out new products so this was a positive experience for me. Once again, thank you for swinging by and reading my thoughts on these two star products. If you have any questions about these, feel free to drop me a comment below. Til next time, friends! Wishing you a wonderful weekend ahead of you and beautiful skin! Hello, hello friends. It has been a VERY hectic little bit for bit I’m managing my time wisely today to share this wonderful serum I have been anticipating to share my thoughts on this serum I have been using consistently in my evening beauty routines. The reason why I don’t always share all of my products in my photos because it can quickly get all congested and look too busy. As well, I wanted to use this a fair amount of times to develop and actual opinion on this. I was kindly gifted this product from Iunik in exchange an honest review. Anti-Aging – Contains 5 Black Super Foods (black beans, black sesame, black rice, kelp and eggplant) to help with anti aging. Whitening/wrinkle improvement – Confirmed as a pharmaceutical functional ingredients by KDFA Contains niacinamide and adenosine to improve whitening and wrinkle. Snail mucin is shown to have antioxidant properties as well the ability to promote collagen production and increases wound healing. It is packed with hyaluronic acid, which is humectant ingredient that is able to retain moisture within the skin. 5 Black Super Food ingredients all have something in common, they are all rich in antioxidants, have natural dextoxifying properties and rich in Vitamins (B & E). Kelp in particular helps calm, soothe and nourish the skin. As you can see as the demonstrated photos, this serum is very lightweight and watery. It leaves no sticky/tacky residue behind and absorbs into the skin seamlessly. It can be layered with other products as desired. I have combination skin however it’s quite dehydrated even in my oily regions. I also have some acne scars on my cheeks. I would mix this serum into a skincare cocktail with my vitamin C serum and would notice my skin is not only brighter the following day but within a month of continuous usage, I noticed my acne scars were less red and prominent. One thing I really appreciate about iunik is that there is a generous amount of product and their dropper is high quality Their dropper is sturdy and allows you to control how much you want. Texture: 5/5 – Lightweight and perfect for layering with other skincare products, can be used in skincare cocktails. Scent: 5/5 – There is no scent at all to this, which is fantastic for everyone since fragrance is unnecessary to have for skincare products. Price: 4/5 – Standard pricing for serums and there’s a lot of product in this so you won’t need to repurchase for a while. Performance: 5/5 – I’ve used this consistently every single night consistently for 2 whole entire months and I am impressed. Initially, I didn’t see any results on my skin because it was too short of duration for my product trial to even have an opinion of it however as I used this. I noticed a huge difference in my skin’s texture and overall moisture levels. Usually during the winter seasons, I would struggle with very dried and damage skin but with this, I feel like it’s protected my skin from the Canadian cold and harsh winter days. Packaging: 5/5 – Packaging is simple, easy to read and you can visibly see how much product is left inside so you know when to repurchase. The dropper is sturdy and well made where you can control how much serum you want to apply onto your skin. Overall: 5/5 – I have nothing to complain about this. This is another fantastic iunik product and I highly respect this brand for it’s reputation and quality. They honestly are the very few brands out in the market that care about their ingredients. See on Cosdna with the breakdown ingredients. There are no harmful filler ingredients and it’s completely free of silicones and parabens. Did I mention that they are cruelty free? I’m so blown away with iunik and I’ve been using their products even when I first started getting into skincare. I recommend this everyone because it’s such a beautiful and versatile serum that can be used in all skincare routines. Thank you again for swinging by and reading my review on another fantastic skincare product. Cheers to beautiful skin days!